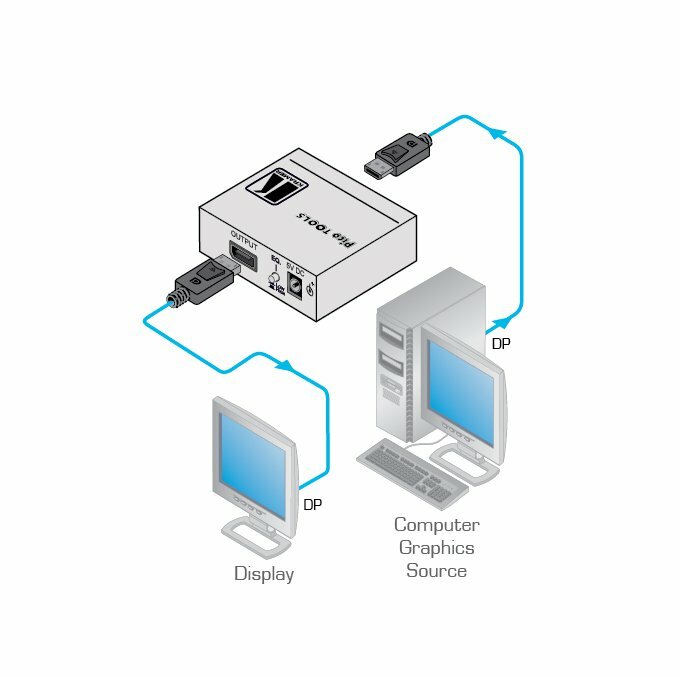 The PT-101DP is a repeater for DisplayPort video signals. The unit reclocks and equalizes the signal and can extend the length of a DisplayPort line up to a combined length of 35m (115ft) at resolutions of UXGA/1080p using Kramer cables. Multiple units can be cascaded. Max. Data Rate - 2.7Gbps per lane. Total Range - 35m (115ft) for video transmission at a resolution of 1080p/60Hz.